We currently have 3, but have had many over the past few years. Most have them have been rescued. Some have been Spanish words, Afrikaans words, ex girl friends names, like Egglet and Nancy. Depends on their personality. Some have sat on my lap, or followed me around the garden. Some just want to be chickens and be left alone. Nancy likes to sleep inside one of our houses, she puts herself inside every evening and goes to the coop on her own in the morning. Sometimes I let her lie on my chest in the evening before I go to sleep. She likes sitting on my head, and flies onto my shoulder when I’m cooking. 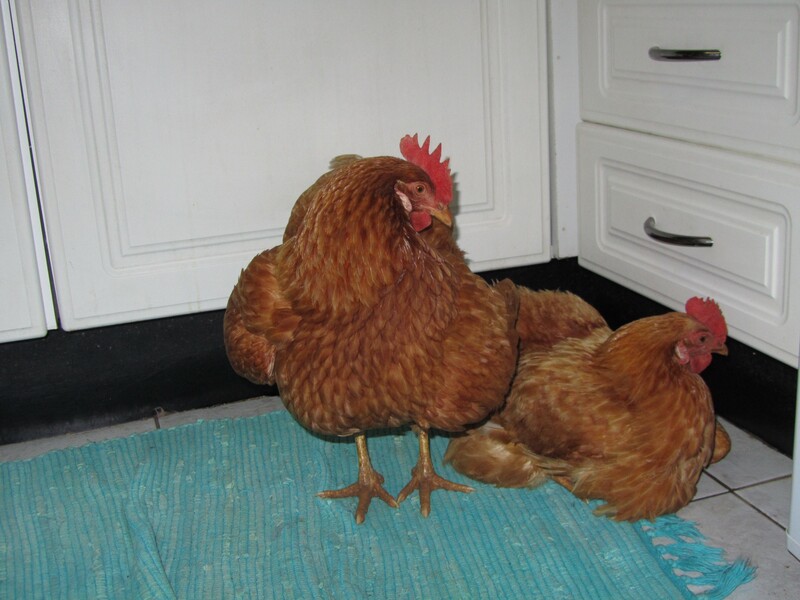 My Rhode Island Reds would run to the gate when they heard my car coming close to the drive way. I loved it, every day! Also, a real free range egg, in comparison to a shop egg. They are fresh and orange and solid like a crumpet. I have never eaten a shop egg again. 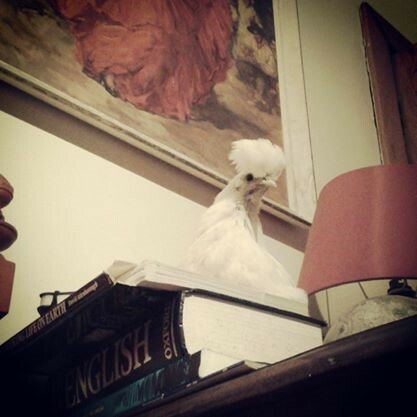 How do your chickens recognize you over and above other people in their lives? They come when I call them, and they crouch down when I approach them to pick them up. They need as much space as possible, a small space drives them crazy. They need to be allowed to run around the garden too. 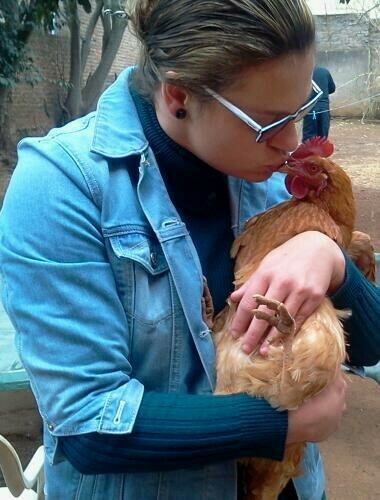 The chickens are pets, not food. It is important to keep pets safe from other pets, so be careful what dogs you have or plan on getting in the future. 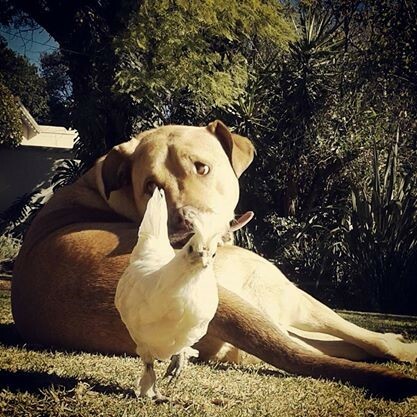 Some dogs have the instinct to catch a chicken even though they are family. Like Terriers for example. I have also heard that Collies will continuously heard the chickens and they can starve to death as a result. 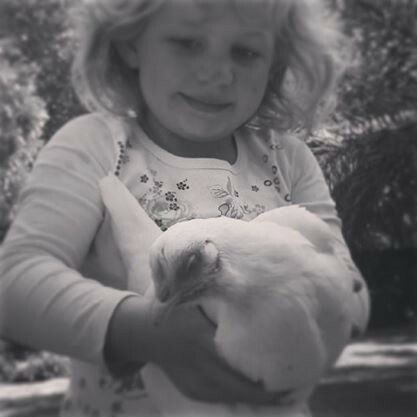 Chickens need a sufficient amount of varied food and water every day. Chickens need both sun and shade. And cannot have just one or the other. The chickens need company, even if they behave like loners during the day. 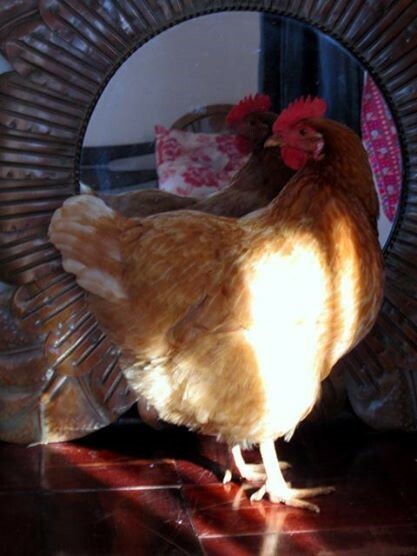 I once gave my chicken a mirror on the floor, when her friend was killed. She perked up immediately when she got a new friend. Chickens should not be kept in tiny cages and force fed, and made to lay hundreds of eggs without movement. battery hens. We don’t eat chicken, so we obviously do not agree that chickens should be fed hormones and be forced to live miserable lives until they slaughtered. 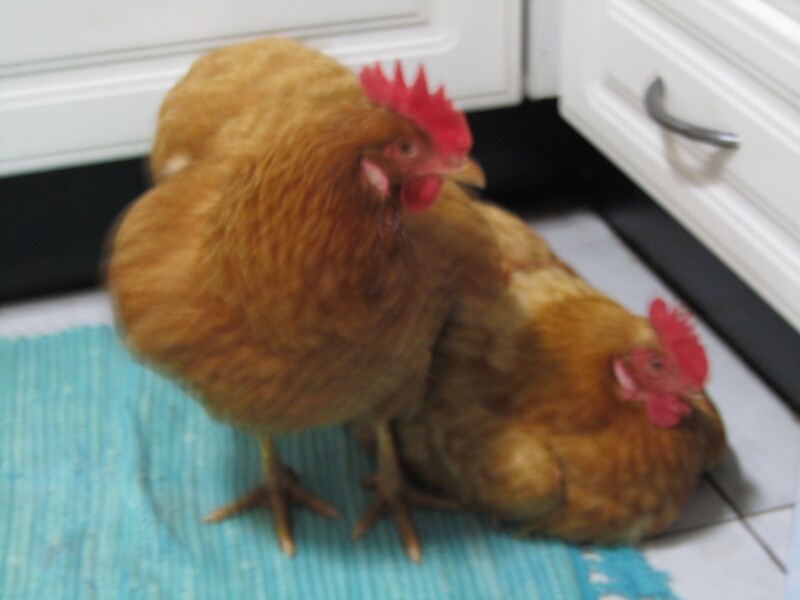 If your chicken is behaving strangely you should pay attention to it, and not leave it for a long period of time. Sometimes a chicken may behave strangely, almost like depressed or lazy, and recuperate quickly.